Keeping a family on a budget is hard for many of us. You have to think about the many needs of all the people who are living in your home, which is a lot more than the needs you had when living alone. While you may have been able to splurge on anything and everything you wanted, this isn’t the case anymore. You have to think about not only what your children need to eat healthy balanced meals, but what you and your spouse need as well. If you are curious about how to get everything you need without breaking your bank, we can help. Check out the list below and figure out how to budget for groceries to the best of your ability. No one wants to cut out their favorite and most coveted snack foods, but this is likely where the majority of your grocery money is going. Keeping this in mind, it’s important to know the tips below to ensure you are cutting out those not-so-needed grocery items. You may think snack foods are relatively cheap. After all, they tend to be pretty unhealthy for the most part. Rather than spending money on snack foods that come pre-packaged, consider making your own or going more simple. This means instead of splurging on granola bars or cookies, make your own from scratch. This will allow you to spend far less money and your snacks will last a lot longer, as they will likely fill you up much faster since they are made from healthy ingredients instead of preservatives. There are certain things you have likely been buying forever and you simply do not realize their cost. One of these items many people tend to underestimate the price of is orange juice. Juices in general tend to be pricey, but especially orange juice. This sort of thing is not a necessity and therefore, you should consider leaving it on the shelf the next time you visit the grocery story. Nearly everyone loves cheese. However, if you are buying a lot of it often, it could be responsible for a large chunk of the money you are spending at the grocery. While purchasing cheese for meals may not be expensive, buying it as a side or a snack will greatly increase your total when you are at the checkout at the grocery store. One of the things you will notice most when you are thumbing through the coupons in the newspaper is that your normal brands aren’t always on sale. On the other hand, there are other brands that tend to be discounted quite frequently. These are the brands you should be buying. While a 50 cent difference may not seem like a huge deal on one item, when you add that up on several items, it can save you a good amount. Plain and simply, buying prepackaged meals will save you time but will cost you more money. While your time is valuable, cooking from scratch will save you so much where your bank account is concerned. If you plan ahead, cooking from scratch really isn’t that hard. 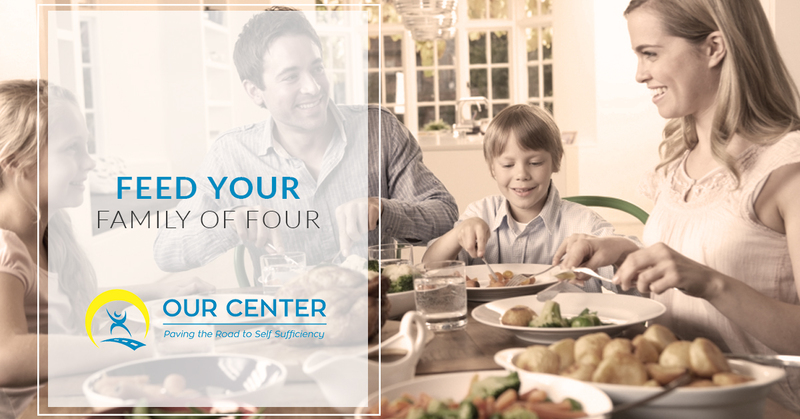 By cooking large quantities of certain foods like chicken or beef, you can ensure that several meals your family will love will come together easily at the end of the day. When it comes to making grocery shopping affordable, you can truly cut your cost in half by using the community resources that are available to you. At OUR Center, our Community Market was developed to make healthy food available to those families struggling to budget for groceries. If you need the help of one of our staff to learn more about our community market, contact OUR Center today!